Q: Dr. Locke, can you please explain what Vision Therapy is? A: Vision Therapy is treatment for conditions such as amblyopia, strabismus, and convergence insufficiency. It is vision training to train your eyes to work well and efficiently together. Q: Why did you choose to open a Vision Therapy clinic in your practice? A: Vision Therapy still tends to be a huge and unmet need in most areas, and particularly in Atlanta. This is because most people are not even aware of the specialty. Therefore, I thought it was very necessary to open the Vision Therapy clinic within the city limits, and that this would be a great service to the community at large, to bring more awareness of the benefits of Vision Therapy. Personally it is a very rewarding specialty to add to the practice, since it is something I can do as a doctor which, for the most part, always produces great results and greatly improves a patient’s quality of life. Q: Who is a good candidate for Vision Therapy? A: Good candidates for Vision Therapy usually stem from symptoms they are experiencing at school or at home. So, it could be symptoms of avoiding their work, losing their place when reading, not reading up to their potential. Headaches, double vision, and poor performance in sports are also common in patients needing Vision Therapy. Finally, Amblyopia and Strabismus, are also conditions that should be evaluated to see if Vision Therapy would be beneficial. Q: In addition to children, who else may be able to benefit from Vision Therapy? A: Vision Therapy is perfect for babies, children, teens and adults and people with special needs. For instance, if someone has had a brain injury which has affected their visual system, they may also be a great candidate for Vision Therapy. Infants and toddlers can be candidates as well, although therapy in these cases would involve parental guidance. Additionally, people that are competitive athletes, and just want to use their vision system more efficiently. There are several collegiate and professional programs that incorporate Vision Therapy to take their athletes to the next level competitively. Q: What kind of unique equipment and exercises are used in a course of Vision Therapy? A: Vision Therapy is interesting, because once you understand the concepts, you can turn almost any piece of equipment into Vision Therapy. I would say things that are unique to Vision Therapy are special glasses to make a patient aware when they are using one eye or both eyes together. We use lenses and prisms to train the eye. We use equipment that trains the eye to see in 3D for patients that are not able to see in 3D. Things that help with tracking the eyes, or learning how the eyes should be tracking. Literally, we can turn almost anything Vision Therapy equipment to meet a patient’s needs when necessary. Q: What kind of results can a patient undergoing Vision Therapy expect to see? A: At our Vision Therapy clinic, it is very important for us to begin by outlining certain goals that are related to the symptoms they have been experiencing. For example, if somebody comes to us with double vision and it’s affecting their school work. If, they are unable to keep their place and they can’t comprehend what they have read. Then the goal for this patient would be to eliminate the double vision, make their reading more efficient and their comprehension scores go up. Any person who we are working with for Vision Therapy should expect to eliminate the symptoms that are directly related to why they are doing the vision therapy. The results are usually life-long. We are retraining the brain so that the brain and the eye work seamlessly together. All patients can expect long-lasting results and hopefully complete elimination of the symptoms all together. Q: Please describe the patient experience with Vision Therapy. I imagine this is going to be different than just going in for a regular eye exam, getting a refraction and walking out with a pair of glasses. How is it different? A: Initially it is a bit more of a process in the sense that we still to a comprehensive exam to rule out any diseases of the eye. Beyond that, we do what we call a functional vision exam which is a little longer, where we go into more depth about how the eyes are working together-this exam is typically tailored to the patient and their symptoms. We use a machine to track the eye while the eyes are reading a passage to see if they are working together, or following along the page properly. Then I meet with the parent or patient to discuss in detail the results that relate to the symptoms noted. Once the patient has signed up for Vision Therapy, ideally we would see the patient once a week. We definitely build a strong and good relationship with not only the patient, but all of the family members who are involved in the patients’ care. Most Vision Therapy patients have weekly homework they are assigned to do and practice at home. We spend a good deal of time with both the patient and their family, explaining all of the exercises involved, discussing what’s going on, and celebrating milestones in their rehabilitation. Vision Therapy patients are generally with us for treatment anywhere from four months to a year, depending on the problem. Q: Is there a minimum age or developmental level to begin Vision Therapy? A: Vision Therapy can be done at any age or developmental level. Typically, as a practice, it is our preference to wait until the patient’s comprehension is at a level where they can understand a little about the activities involved, usually waiting until around the age of 4 or 5, depending on the child. When the patients are younger than that, sometimes we will do monthly visits with the parents, and go over activities they can incorporate at home. With toddlers and some special needs patients we feel that works a bit better. This way we are training the parent to help the child. We’ve even done this with babies as young as 8 months old. We give the parents different exercises they can do at home that can stimulate the baby’s vision. Q: Can you share with us a patient success story with Vision Therapy in which you were able to provide the patient with a solution they would otherwise not been able to do on their own? A: I have an adult patient who suffered a brain injury. The patient was not functioning well, and was therefore not able to go to work and provide for their family. The patient was truly struggling to do everything. Even the simplest tasks we take for granted, and do without even thinking, were a struggle for this patient. First, I prescribed the patient a pair of glasses that provided immediate relief. With the new glasses the patient was able to do their computer work and meet some of the demands of their job. Beyond that, we did monthly therapy. There was a night and day difference in terms of how the patient was able to function and live a productive lifestyle. By the end of Vision Therapy, the patient was working a full day and then coming home after a full day of work still able to do their eye exercises. For a brain injured patient to sit and read for 20 minutes is a huge accomplishment, let alone after a full day’s work! This is a beautiful success story. An adult who came to us initially which could not function at work, provide for their family, or barely function with daily tasks, (and how frustrating the situation must have been), and the fact that we were able to rehabilitate him successfully is a wonderful feeling. 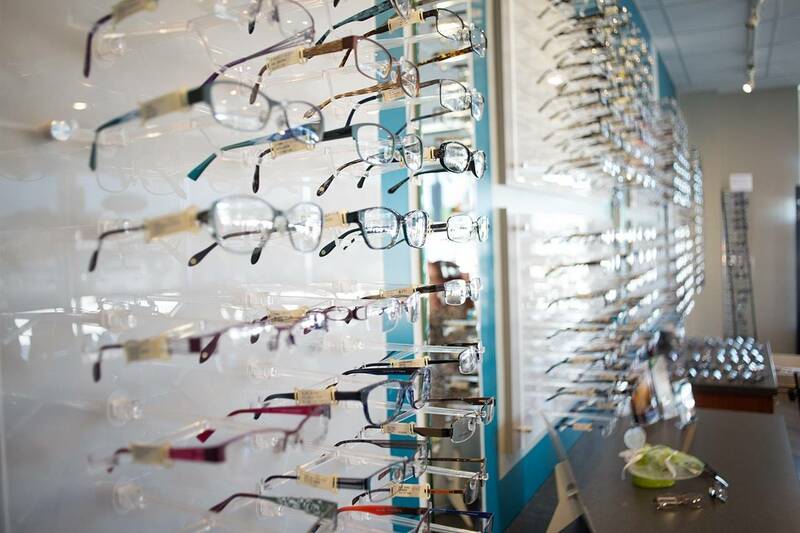 Q: Does standard medical or vision insurance cover Vision Therapy? A: Typically, no. It is usually out of pocket. You can use flex spending or Care Credit to help pay for it. As a rule it is considered a long term investment and is generally paid out of pocket. 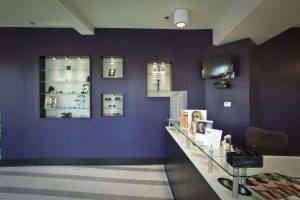 Learn more about Vision Therapy in Sandy Springs.